Are you fascinated by political processes like law, government, diplomacy, and ethics? Do you want to make a difference in policies affecting the environment, energy, healthcare, and poverty? Are you interested in the past and the present?  If so, Buffalo State College’s Political Science program might be the perfect choice for you. Small class sizes: These allow for individualized attention and free, open dialogue. Four minor options: International Relations, Legal Studies, Political Science, and Public Administration allow students to focus on specialized interests. Award opportunities: Four political science awards that honor and acknowledge star students within the program. Pi Sigma Alpha: Buffalo State has a longtime chapter of the national political science honor society. Political science majors, eligible by GPA and course hours, are regarded as the most experienced, dedicated, and academically advanced in the department. Student Political Society: SPS is a Department of Political Science student academic club. SPS hosts visits and discussions with local politicians, post-election analyses, the ins-and-outs of graduate school, and lectures/discussions on topics of current interest to club members. Buffalo State Mock Trial Team: This team allows students to practice and compete in mock trial tournaments around the nation. Students gain hands-on experience with the legal system and trial procedures, with mentoring from local professional attorneys. Model United Nations and Model European Union: An educational simulation and academic competition in which students can learn about diplomacy, international relations, and the United Nations/European Union. Students have numerous opportunities for internships. For instance, the Washington, D.C. semester allows interns to work in a Washington, D.C., office for 32 hours a week, take classes on Fridays, and complete a major research project. This experience has led to many job opportunities for our students in the D.C. area. Other internship opportunities that allow students to experience the world of politics firsthand. NYS Legislature in Albany Internship: Allows interns to get involved in state government and gain firsthand knowledge of the legislative process. Local internship opportunities: Places student interns at local offices of NY politicians, government agencies, law firms, and public interest group. Student Political Society: Student academic club associated with the Political Science program. Hosts visits, discussions with local politicians, election analyses, and lectures/discussions on topics of interest.